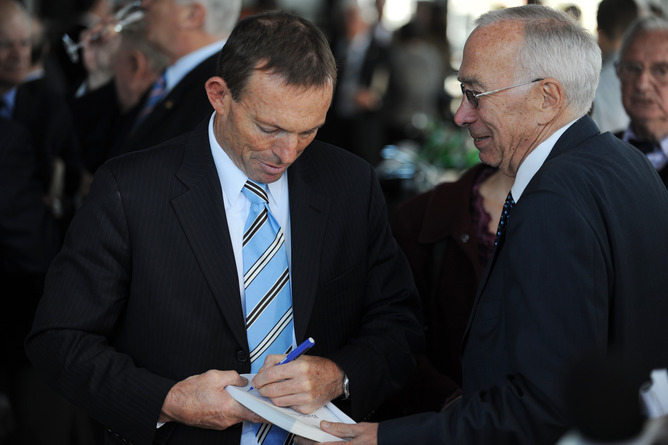 Last year more than a dozen political memoirs were published in Australia. From Bob Carr’s Diary of a Foreign Minister to Greg Combet’s The Fights of My Life, from Rob Oakeshott’s The Independent Member for Lyne to Bob Brown’s Optimism, one could be forgiven for thinking Australia is a nation of political junkies. Or that we’re fascinated by the personalities, policies and procedures that shape our political landscape. But are we really, and if not, why so many books? The deluge shows no signs of abating, with a similar number of titles expected this year. Already we’ve seen the release of Shadow Minister Chris Bowen’s The Money Men, reflections by Federal Labour members Mark Butler and Andrew Leigh, with former Victorian Labour leader John Brumby’s practical “lessons”, The Long Haul, in press. Liberals, once laggards in this genre, are stepping up in growing numbers. Federal Minister Christopher Pyne’s “hilarious” A Letter To My Children is out, and Peter Reith’s The Reith Papers is underway. Also in press is the genuinely unauthorised Born to Rule: the Unauthorised Biography of Malcolm Turnbull. First nurtured by John Iremonger of Hale & Iremonger, Melbourne University Press now leads the way with the genre. MUP Director, Louise Adler, is notorious for her enthusiasm and her efforts to contract politicians of all parties and persuasions. But even Adler has reservations, writing in September’s Meanjin that “the political memoir is unabashedly myopic, subjective and reflexively partisan”. One argument for the proliferation of political memoirs is that they enable the public to engage with politicians outside the frenzy of the 24/7 news cycle. Certainly the popularity of Annabel Crabb’s ABC show Kitchen Cabinet suggests there’s some weight to this “getting to know the person beyond the sound-bite” theory. Some argue the 24-hour media cycle has debased politics to such a degree that voters are searching for a depth of focus missing from parliament and mainstream media coverage and finding it through other channels. Based on the sales figures, a publisher can safely bet that an Australian political memoir or biography is likely to pay its own way, at the very least. Even the slow ones mostly sell more than a few thousand copies. But do sales say anything meaningful about these books’ impact on our political process or cultural debate? And how to measure the impact of the political memoir on democratic process? The genre has been trending for a few years now, propelled in no small part by the success of Bob Hawke’s The Hawke Memoirs (1994) which sold 75,000 copies, and John Howard’s Lazarus Rising (2011), which sold upwards of 100,000. As far back as 2007, David Marr in his analysis of John Howard’s prime ministership, His Master’s Voice: the corruption of public debate under Howard, despaired of the increase in public “chatter” and the sabotage of free speech. Paradoxically, it was during this period, and subsequently, that political memoirs and biographies increased in number. Thanks to the introduction of Nielsen BookScan in 2002 and its collection of reliable national book sales figures, metrical research into the book industry and reading patterns is now possible. But what readers make of the content of these books, and how they contribute to Australian culture, is difficult to accurately discern. Dr Jan Zwar conducted a close analysis of a range of narrative nonfiction books and their contribution to cultural debate during the Howard years 2003-2008. In an essay for the Journal of the Association for the Study of Australian Literature she observed that “experiences of the actual readers remain a mystery behind the wall of data”. Other forms of media mediate the relationship between the memoir, its author and the wider readership. 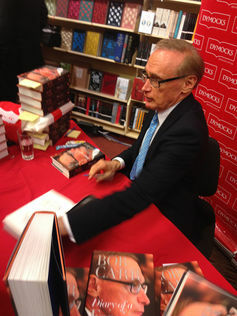 Syndicated publication of extracts, the author’s appearances through radio, television, online and print media to discuss the book, and appearances at writers festivals and festivals of ideas are all channels key to ensuring the possibility of the memoir’s broader ideas being promulgated. In her 2012 essay More than Michael Moore: Contemporary Australian Book Reading Patterns and the Wars on Iraq and Afghanistan, Zwar proposed that it is through these “longer term, less obvious ways” that these texts have discursive impact. 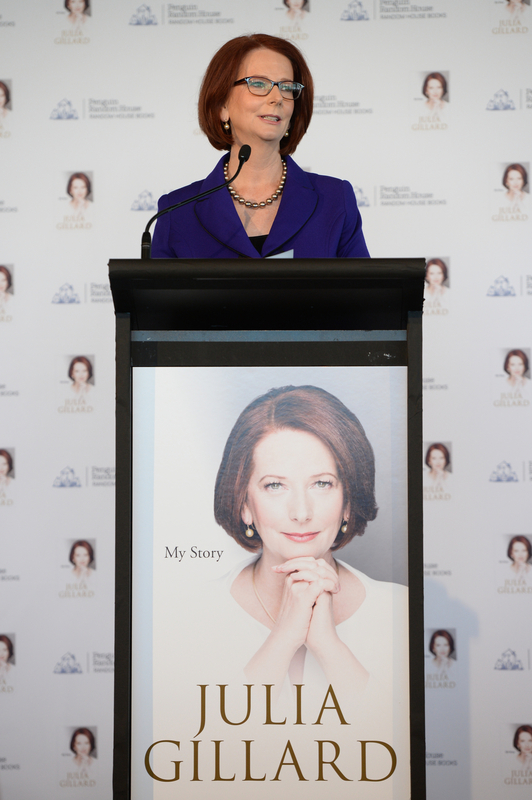 Former PM, Julia Gillard, by way of example, has appeared at half a dozen writers festivals in Australia and New Zealand alongside her memoir, My Story (2015), although no one I spoke to nominated the memoir as being influential or contributing to the debate. Yet, with large live audiences, Gillard clearly is contributing. The memoir is the prop for the event, and contributes to an already existing discussion of broader “Gillard” topics such as women in politics and education reform. Similarly, Anna Bligh, former Premier of Queensland, speaking on the ABC program Q&A in August, firmly linked her memoir, Through the Wall: Reflections on Leadership, Love and Survival (2015), to her key message of encouragement to young women to pursue a career in politics, and not to be fearful of the walls “built of the solid bricks of prejudice” (to quote from the book). Mark Latham’s Latham’s Diaries, originally published in 2005, eclipses all other political memoirs and autobiographies in my research for impact, in terms of readers recalling and engaging with its dissection of the Labor Party in the post-Keating years, the Australian political system more broadly, and its insistence that there ought to be serious debate about political philosophy. 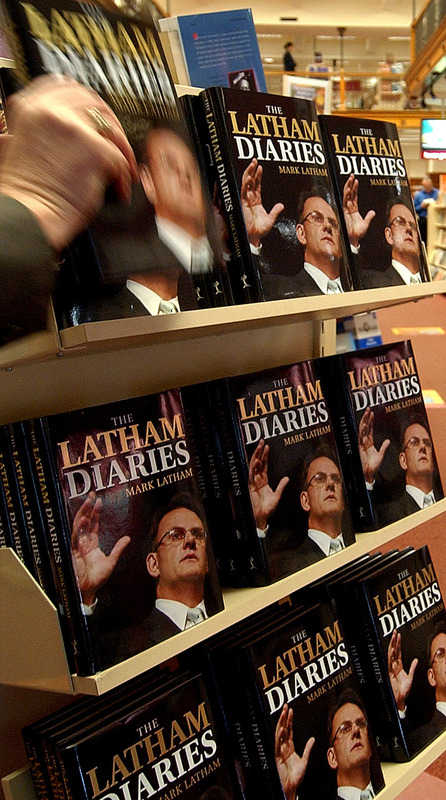 Whatever one may think of Latham today, this memoir has contributed to debate and critiques of Australian democratic process in the new century. Natalie Mast recently argued on The Conversation that, ten years on from its publication, “the flaws in our political system that Latham highlighted continue to affect us”. It is both the specialist and the general reader that the politicians are appealing to, with general readers contributing the bulk of sales, and thus the economic viability of the genre. But it is the political analysts and historians, journalists, lobbyists, festival directors, politicians and would-be politicians who are the most critical readers of these books and who enable a memoir’s impact. Laura Tingle, the Australian Financial Review’s political editor, has possibly read them all. According to Tingle, the “young things” in the current caucus are “hoovering up” Gareth Evans’ Inside the Hawke–Keating Government: A Cabinet Diary (2014) to gain an understanding of how the government worked. Knowing what happened is not of course equivalent to energetic debate and discourse, but it is a starting point. Tingle nominated three other books of influence from recent years. Tony Abbott’s Battlelines (2013) continues to “reverberate” as readers realise it has not clarified Abbott’s beliefs, but just added to the mix. Malcolm Fraser’s Dangerous Allies (2014), which followed on from his Political Memoirs, is having impact because of the quality of its insights and argument, though strictly speaking it is not a memoir. Tingle also nominates Bob Carr’s Diary of a Foreign Minister (2014), despite it blowing up across social media over Carr’s love of activated almonds and other personal nonsense about his abs and pyjamas. But from Tingle’s perspective, Carr’s diary holds value for its uniquely positioned observations of the Gillard cabinet. You effectively had an outsider/ journalist reporting on what he saw in a government that was crumbling. For that reason, I think it is going to be an on-going source for many years on what happened in the Gillard period. Margaret Simons, Director of the Centre for Advanced Journalism and co-author of Malcolm Fraser: The Political Memoirs, pointed to other works as influential, but again, they’re not wholly memoirs, nor all recent: suggesting the genre does indeed have limitations. Simons identified the Latham Diaries, the late John Button’s 2002 Quarterly Essay, Beyond Belief: what future for Labour (part memoir, part critique), and thirdly, Clare O’Neil and Tim Watts’ 2015 Two Futures: Australia at a Critical Moment. Too young to be documenting their political lives through memoir, this pair are not looking back, but forwards. Posted in The Writerly Reader blog and tagged memoir, political memoir, politics, The Conversation. Bookmark the permalink.